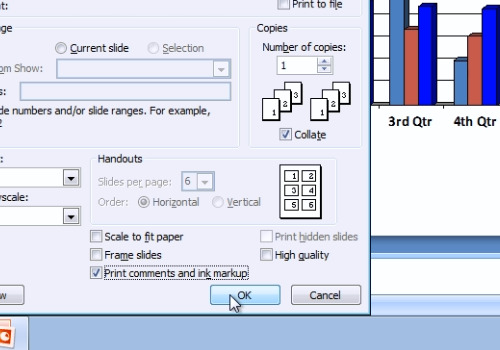 In this video tutorial we will show you how to print powerpoint slides with notes. 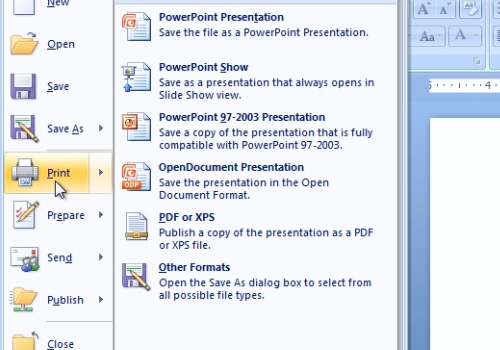 Launch Microsoft Office PowerPoint. Press the “Office” button and choose “Open”. Select the file with notes you want to print and press “Open”. Edit notes if you need. Then, press the “Office” button and choose “Print”. In the following print setup window, check “Print comments and ink markup”. Then press “Ok” to start printing. In the next window, save the document on your hard drive.